She is one of the most popular millennial artists today. Known by her hit song “I Kissed a Girl” which sparked controversy where critics viewed the song as advocating for homosexuality. It wasn’t evident though but Katy is one of the artists who support homosexuality openly. She doesn’t hide even a bit of it and she went ahead and supported Obama for that. During this time, homosexuality was like a taboo in the world and speaking let alone singing about it was something most people distanced themselves in. 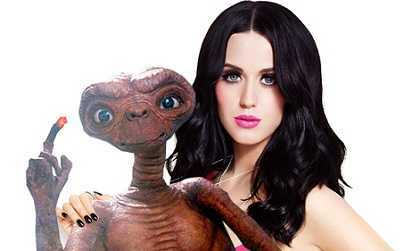 Since she rose to stardom, Katy has spent her life on the spotlight. Everything she does is widely covered by the media all thanks to her fame. With all the criticism she receives in her life, she makes sure to spend some of her time doing things privately but with the digital world and super awkward paparazzi, her secrets still get out. Katy tries her best but she can barely breath without camera lens staring at her. Let’s take a look at some of her darkest secrets she thought of keeping from us. 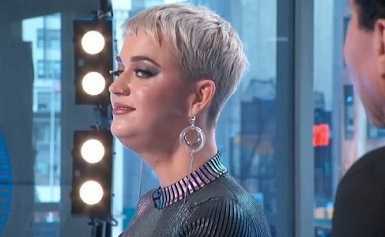 Did you know that Katy considers a frog face as a talent? She was caught by a paparazzi once doing the frog face. She does a frog face by allowing her throat to bulge out like a breathing frog. She did this while doing her vocal training and she was shocked but held it up over her head. This should be a pastors! Both of her parents were pastors. She even started singing while she was in their church in the church choir to be precise. Can you imagine a pastor’s daughter being as outrageous as Katy? I can’t but she is the person she turned out to be. She has also done some gospel songs. Enough with the negativity guys! Katy is a pill popper but not the bad kind of pills. She takes an average of 26 vitamin pills a day. Might sound too much but to her, she is only trying to keep her body in shape and no wonder she succeeds all the time. The fact that she turned out to be the way she is doesn’t mean she wasn’t disciplined as a child. Her parents were so strict that she wasn’t allowed to read books or watch any TV. She was barred from reading or watching anything that related to Harry Potter. These two words can’t even start to explain how creepy she is unless she is a witch practicing witchcraft. She keeps Taylor Swift and Miley Cyrus’s hair in her purse. She got them the first time she went to the Grammys when she shared a dressing room with the two. No one ever though Katy would be suffering from an Obsessive Compulsive disorder but she does. She suffers from it so much that she thinks the alphabets OCD should never be out near each other. If you want to strike a conversation with Katy, start with saying you believe in Aliens and she will jump right in saying she agrees. She loves every series that showcases the existence of aliens and she tends to believe pyramids were built by aliens too. 8. Did She Really Kiss a Girl? When composing a song, different artists find inspirations from their real life experience. In the song, she says she kissed a girl and liked it. Most people believe she kissed a girl which gave her the inspiration to write the song and also sparkled a lot of controversy. Katy is well known for dying her hair starting from green, to blue and many other weird colors Yellow included. She however does this because she doesn’t like her squirrel brown hair color. She says it looks like a boring dishwasher. She was once offered 20 million dollars for a role in American Idol as a judge and she casually decline the offer. Not sure how much the show would make but that’s an insane amount of money to reject and instead opt to do personal projects. Katy literally owns no outfits. With all the different, outrageous and weird outfits she has, she takes home none of them. She gives them away to her crew after a show. This might be the reason she is so good at spelling mistakes. She dropped out of school when she was 15 years old and went to pursue her music career. 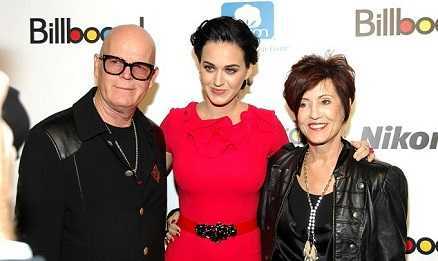 Did you know that Katy’s father was a drug dealer before he became a pastor? Now you know. They say the past exists only in your memory and seems like that’s serving her parents well. When dating John Mayer, the two were so loud in bed and it shocked many. They were so loud that the neighbors often complained about it. what is going on? Check out her music videos and see all the illuminati symbols she flaunts.